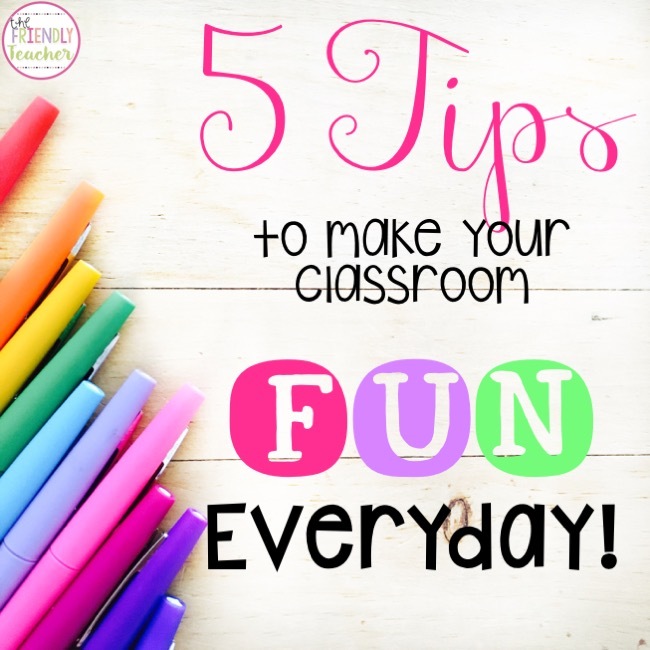 5 Ways to make your Classroom Fun Everyday! I love FUN! I mean, who doesn’t?!?!? Sometimes, you need to just add a little bit of fun in your day to keep your students on edge and giggling all day long! When you are having fun you are also engaging your kiddos in all the content that you need to! 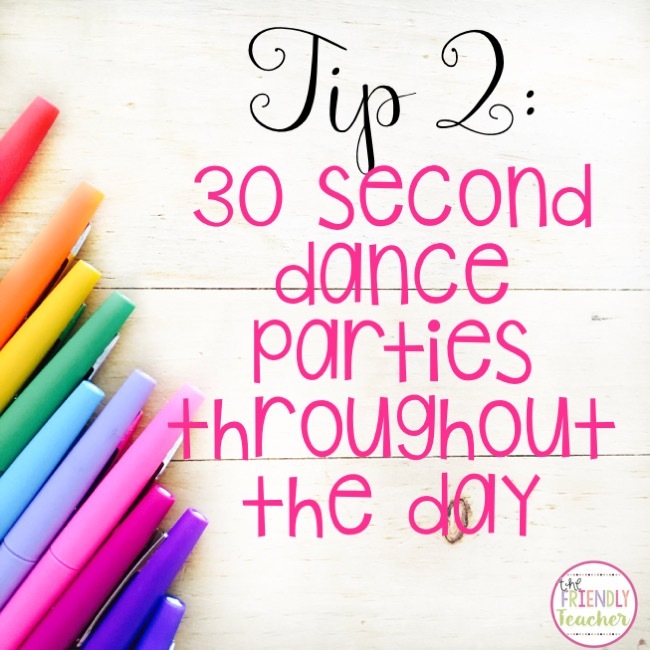 Here are five tips that you can start tomorrow that will make your day so much more fun! 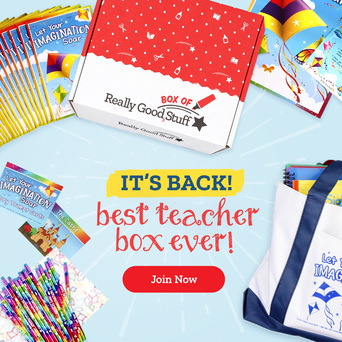 More fun than you can believe! You will go home to your families with a smile everyday! Alright, I know you all like a good dance party. Who doesn’t!?! I love to get my groove on. In my classroom sometimes I just don’t have time to get on GoNoodle or grab a brain break stick and read the directions so I will just yell “30 SECOND DANCE OFF”! My students love it! Somedays I throw music on others we just dance. It is a great moral booster and it adds to the excitement of your day. One thing you can do is make it content based! We are doing angles and lines right now so I would yell to my students dance like a robot to make perpendicular and parallel lines! They love and they are learning! I know you all know the smartest man in the world, Ron Clark! He talks in his books about engaging your students. 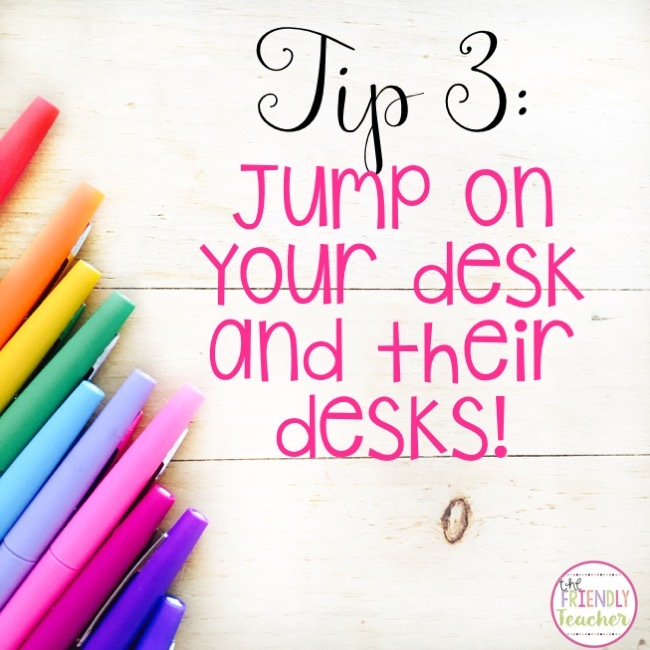 One of my favorite ways to engage my students is to get up on the desks. When you are in the air your students will pay 100% attention to you, I promise!! Sometimes, I will teach a whole lesson on top of desks! If I just want them to listen to me talk I will stand on my own desk but if I want to engage them as apart of the lesson I walk up and down their desks! They are memorized and it is fun! My principal calls me Robin Williams ;)! One reason I also love standing on my desks is so that my students can sit anywhere that they want! They love the choice but sometimes I cannot see everyone when students are behind my bookshelves or in the nooks and crannies of my room! So, I jump on a desk and I can have my eye on EVERYONE! Which scares them 😉 muhahha! One thing I am best known for is my voices! I LOVE to change my voice to get their attention and get them to laugh. When introducing a topic I always like to play a bunch of different characters! I have a man voice, an angry voice, a super girly voice, different accents, and sometimes just a plain strange voice! 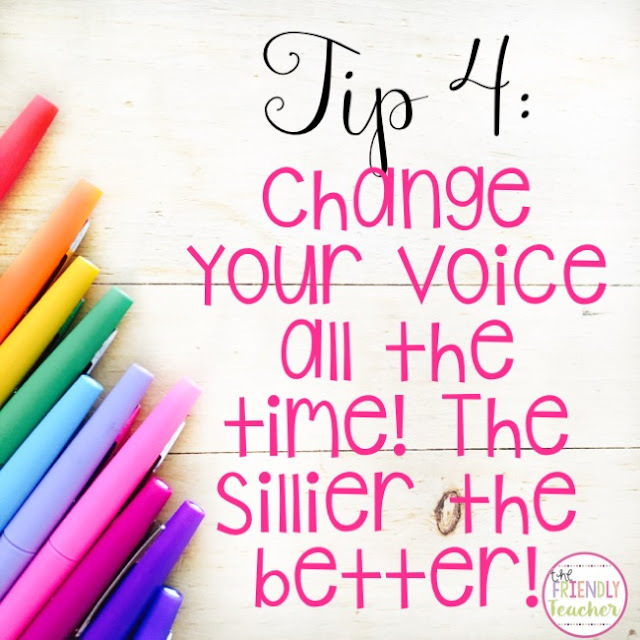 You do not have to go out and get outfits or anything everytime you want to engage your kiddos in many different characters, all you have to do is change your voice! You will shock your students, catch their attention, and make them giggle till their tummy hurts if you just make the weirdest voice that you can!! How many of your students want to tell you stories all.day.long?! Mine love to tell me stories always! I wanted my students to feel like this classroom was their home oasis and that they could share everything about their lives. 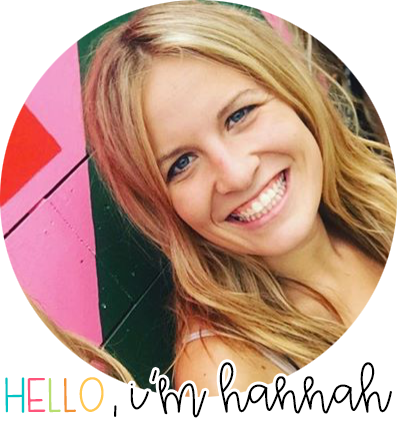 I wanted them to have fun and one way to have fun is to talk about yourself! I mean come on, sharing your favorite stories about yourself, even adults love that! So, at the end of the day students are aloud to come and share all their stories with me! If they have a story I tell them save it for the end of the day! 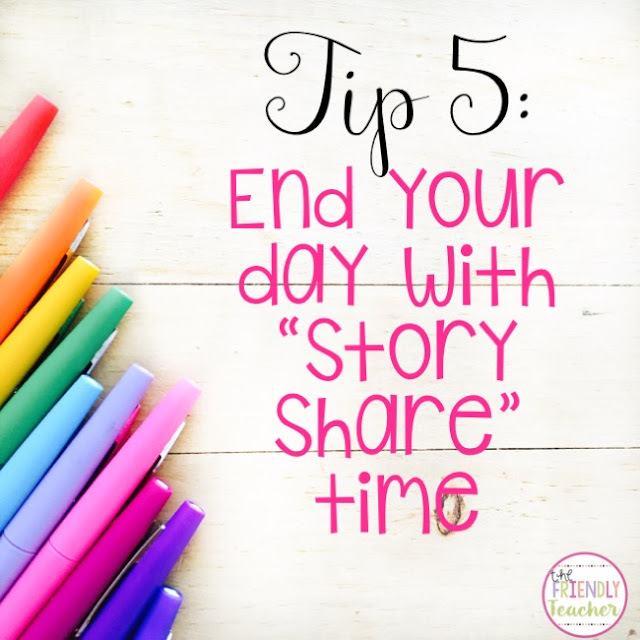 Doing this helps lessen the amount of stories that are shared during my lessons but it also aids in some fun in the classroom! I also love that time to get to know my kiddos on a different level. I hope that you try out some of these ideas! They will change your life seriously! 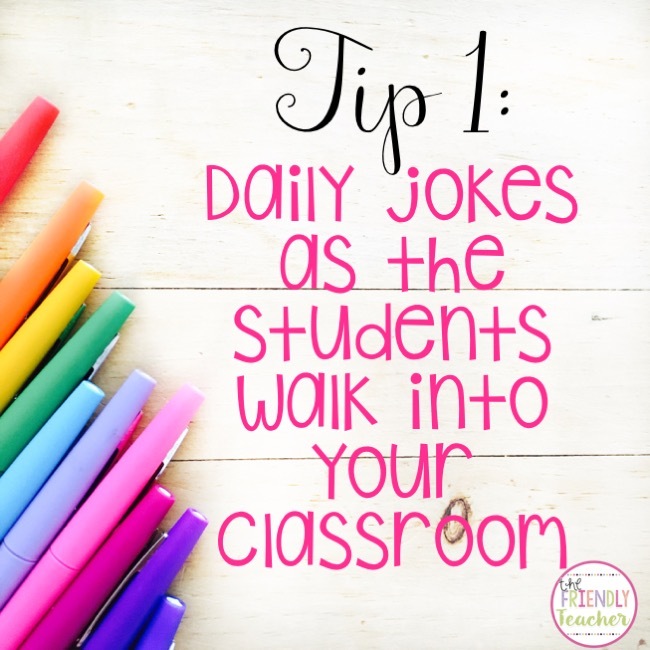 Just a little giggle time is all that you need to leave your classroom with a smile on your face each and every day! Is there anything else that you do to insure that you have fun everyday?!? !